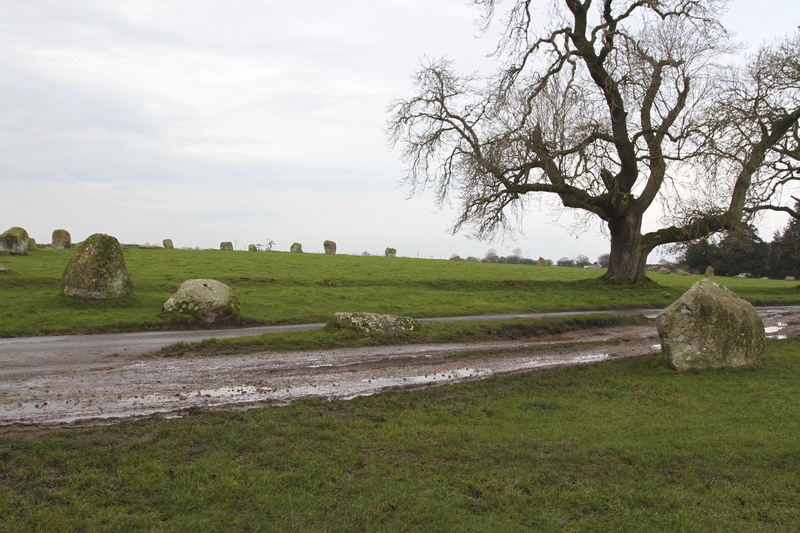 The fifty-nine granite stones (The Daughters) that make up the circle and the huge sandstone monolith (Long Meg), that comprise the wondrous Long Meg and Her Daughters Neolithic stone circle, are an extraordinary sight to behold. This is no ordinary ancient monument. 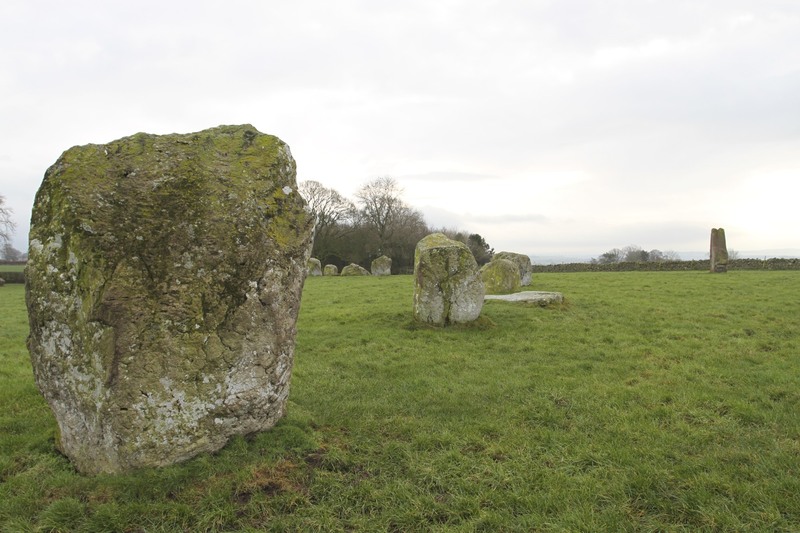 At over 100m in width this is the third largest stone circle in Britain and the sixth largest in the world. So grand is the scale of Long Meg and Her Daughters that the only way to appreciate the magnitude of what you’re seeing is to view it from the air. 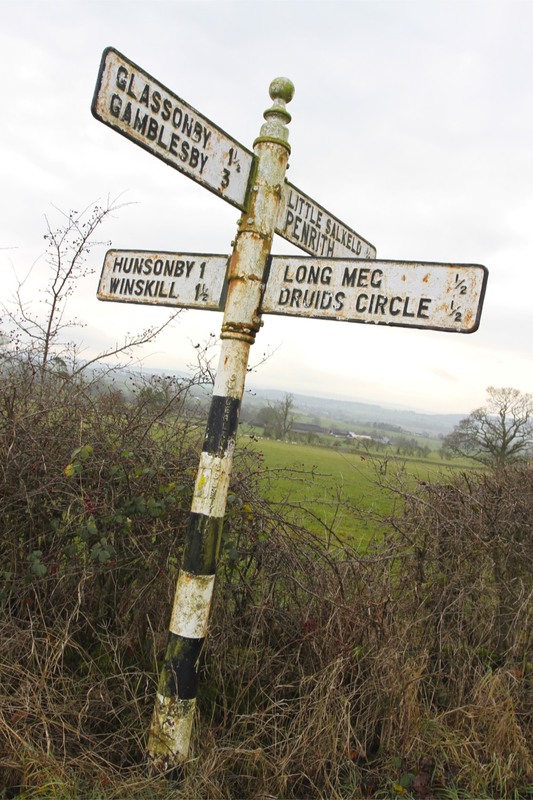 Luckily, Visit Cumbria has an arial photo on its website. Viewed from the air or not, this is a magnificent place. There were perhaps seventy-seven stones in the circle, eighteen having vanished over the centuries. Still, we should be grateful that any stones are standing at all. In the 18th Century the landowner, Colonel Lacy, decided to have the stones removed so he could plough the field (some say he thought there was buried treasure). As the work began a terrifying thunderstorm erupted, taken as an omen that the stones should be left alone. 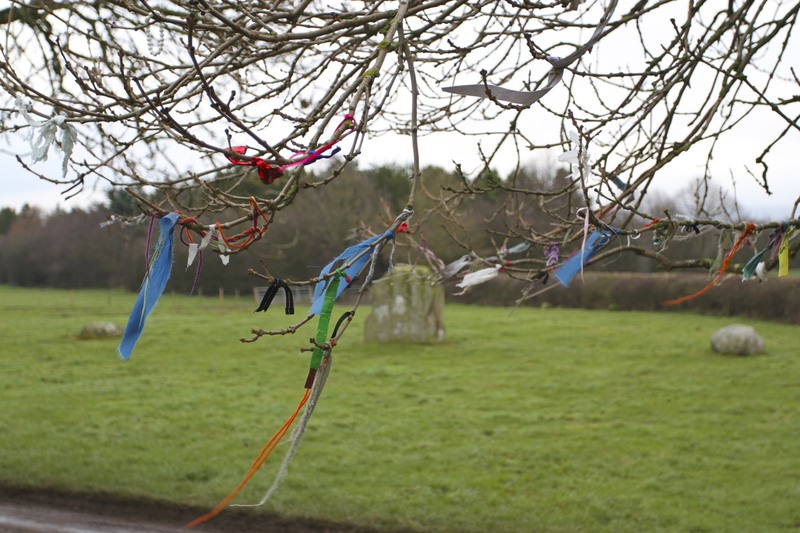 This story adds to the local superstition that the stones are a witches coven turned to stone. 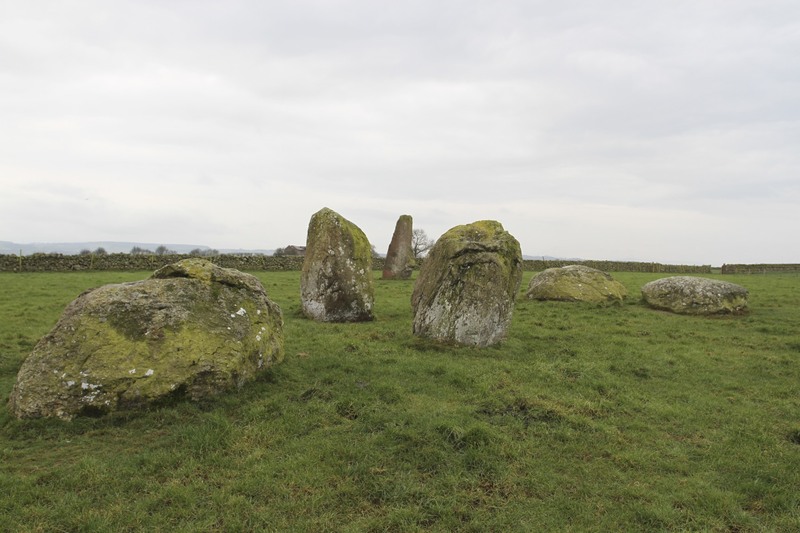 It’s said that if any unsuspecting visitor manages to count the stones twice and gets the same number both times, the spell will be broken and the witches brought back to life. 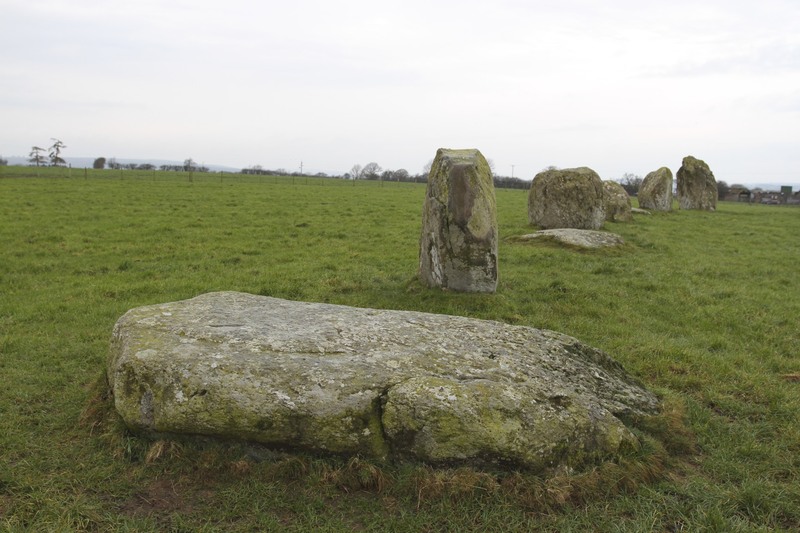 Given the size of the stones, the heaviest is estimated to be thirty tonnes, these were some big witches. 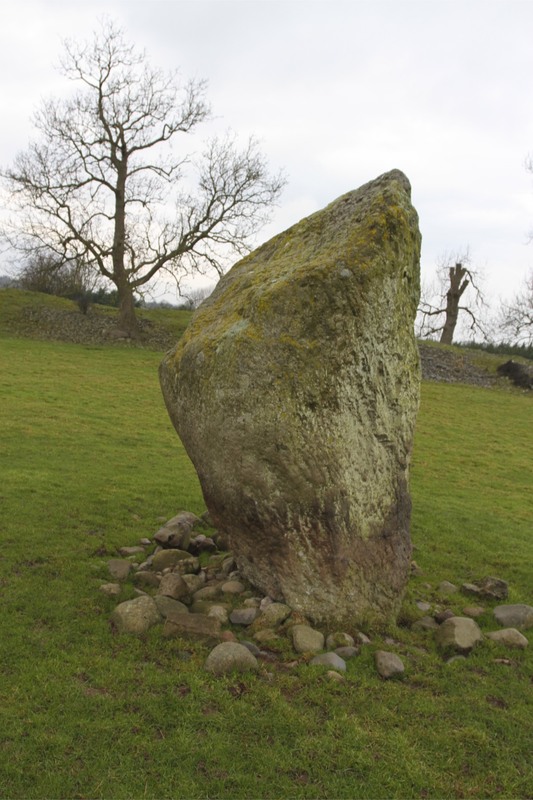 Long Meg is the most impressive of all the stones. 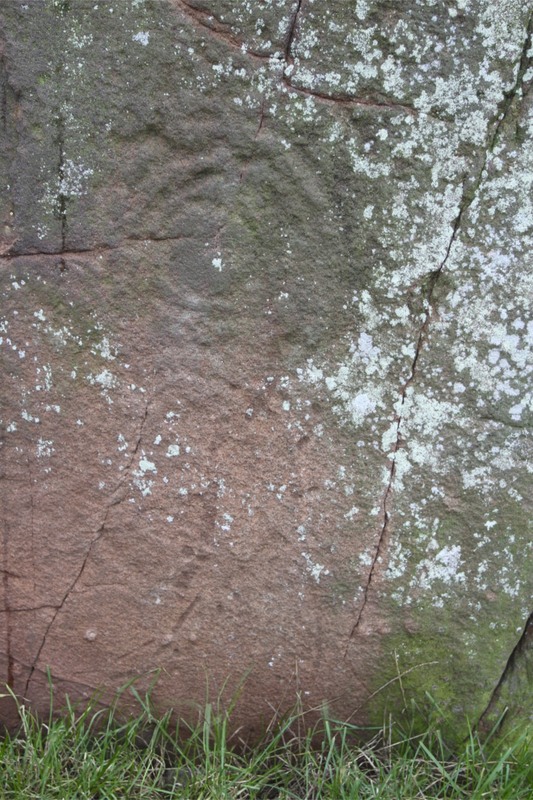 Quarried from red sandstone on the banks of the River Eden over two miles away, one side of Long Meg is decorated with carvings. 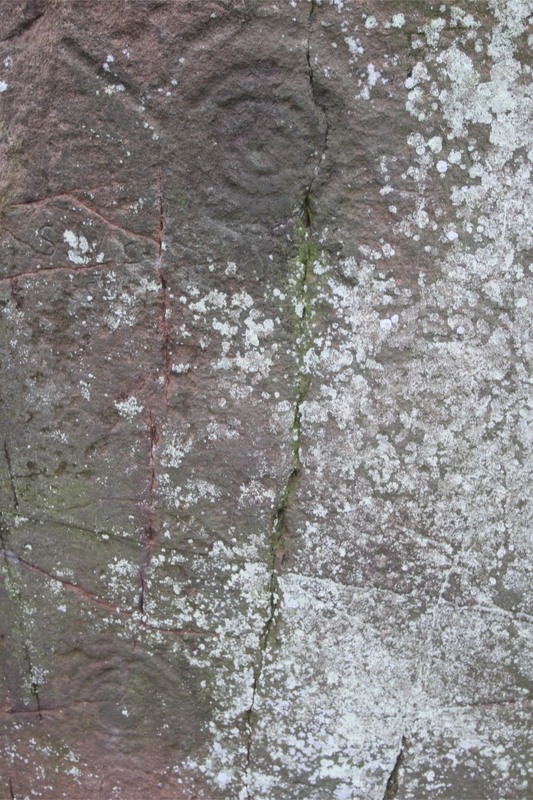 These enigmatic spiral, ‘cup and ball’ and concentric circle designs are still visible today. As is some more modern graffiti. 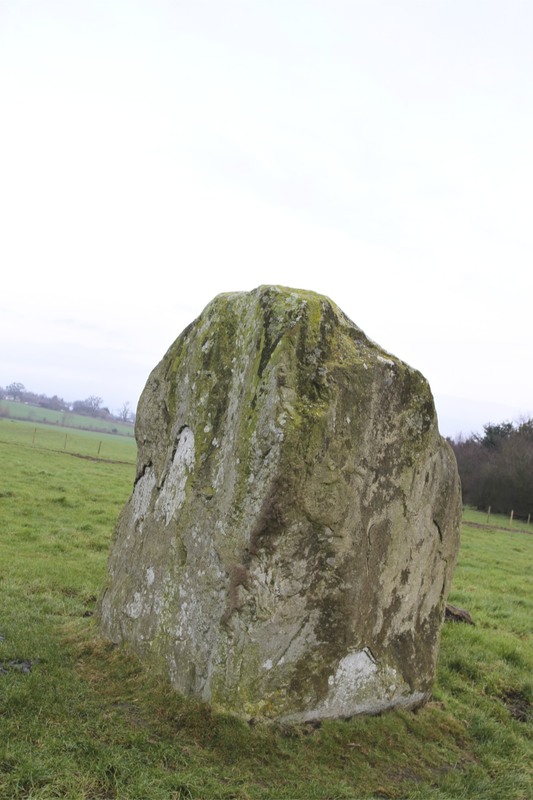 The stone is associated with many legends. 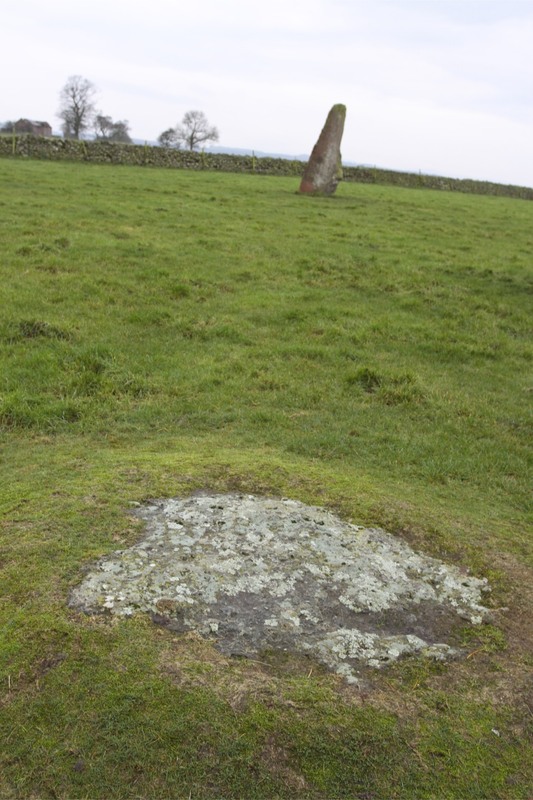 It is said to be the petrified remains of a local witch, Meg of Meldon, who apparently existed in the 17th Century; another superstition states that if you walk around the circle then press your ear to Long Meg you can hear her talk. 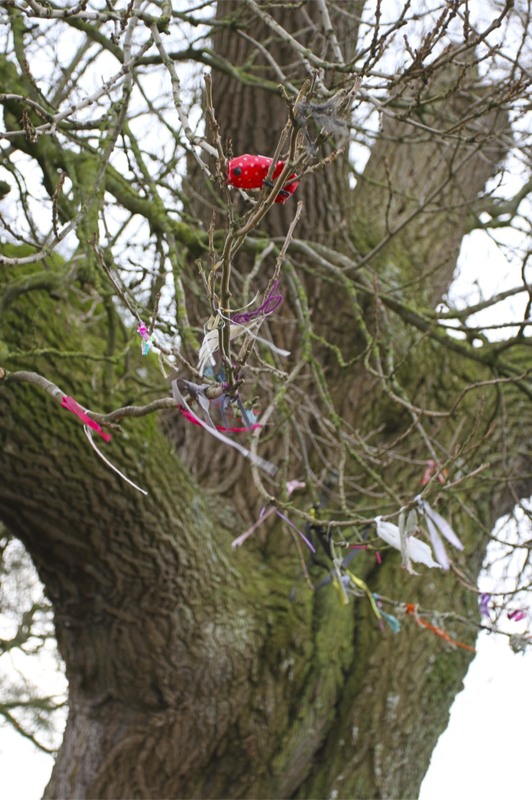 This terrifying prospect hasn’t stopped people from making offerings at the base of Long Meg and in the trees within the circle. 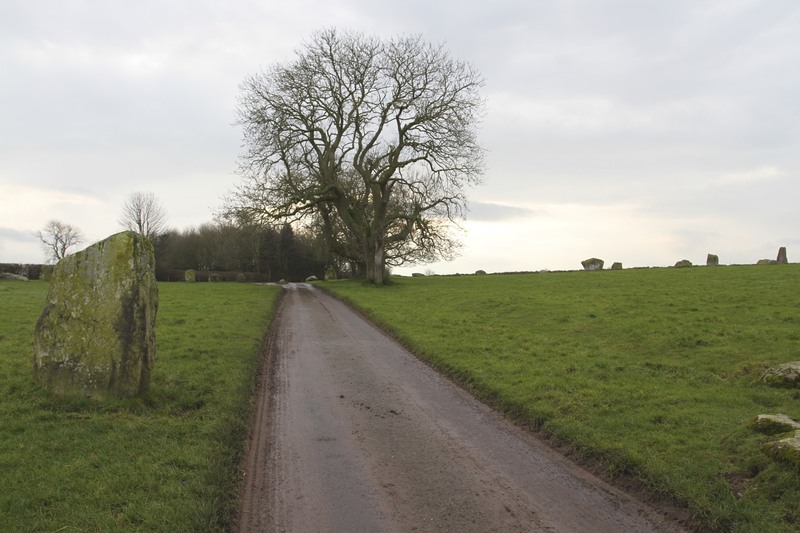 A little distance away from Long Meg and Her Daughters is more evidence of the thriving Neolithic civilisation that existed in this area. 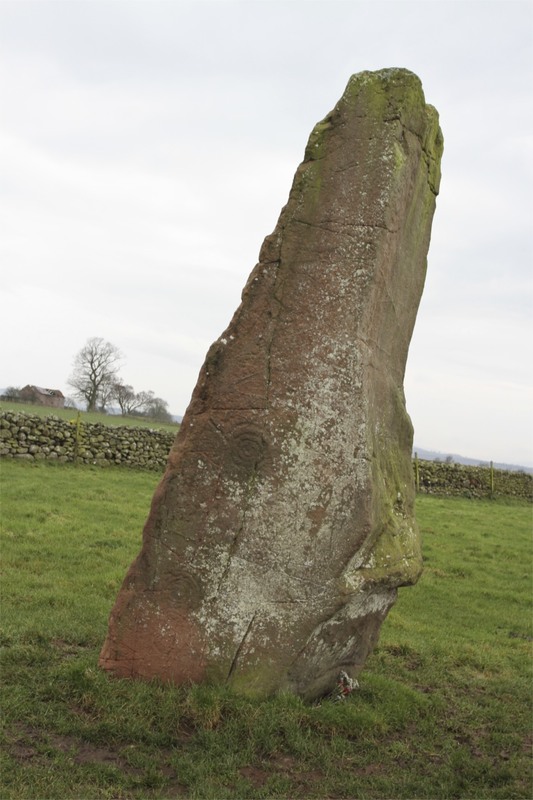 Just outside the town of Penrith lies Mayburgh Henge, one of three nearby Neolithic henges that acted as meeting places for pre-historic communities. 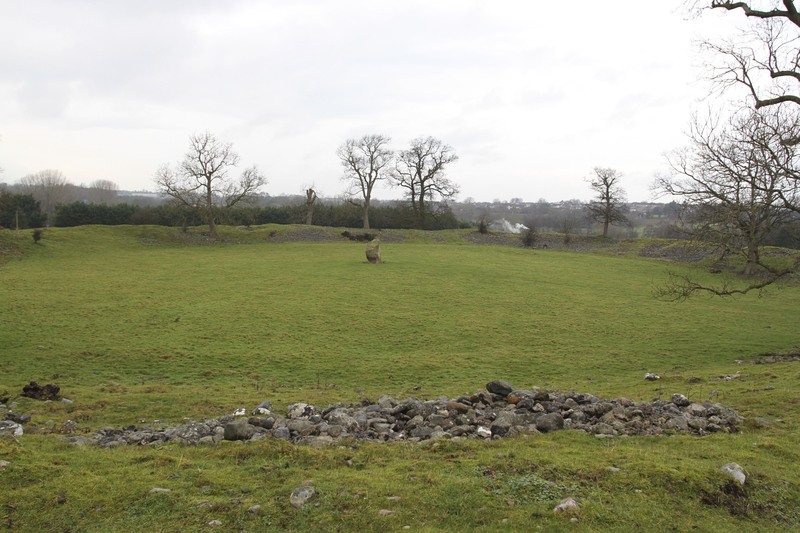 The giant stone in the centre of the huge earth bank that surrounds the site is the only remaining stone of four originals. 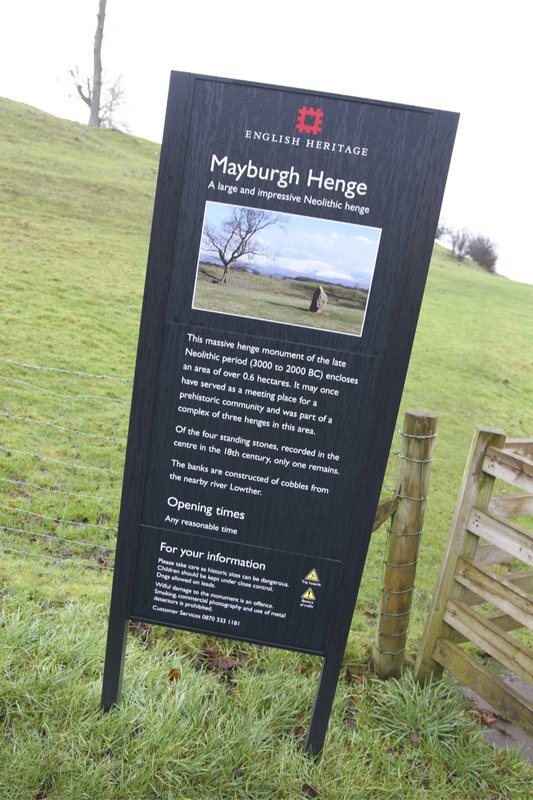 Mayburgh Henge is fascinating. It’s a huge structure, the surrounding bank is made with approximately 20,000 tonnes of stone brought from the nearby River Eden. There is a gap in the bank forming an east facing entrance and framing the one remaining standing stone as you enter the henge. It is a shame that the M6 motorway runs close by and peaceful enjoyment of this place is impossible.